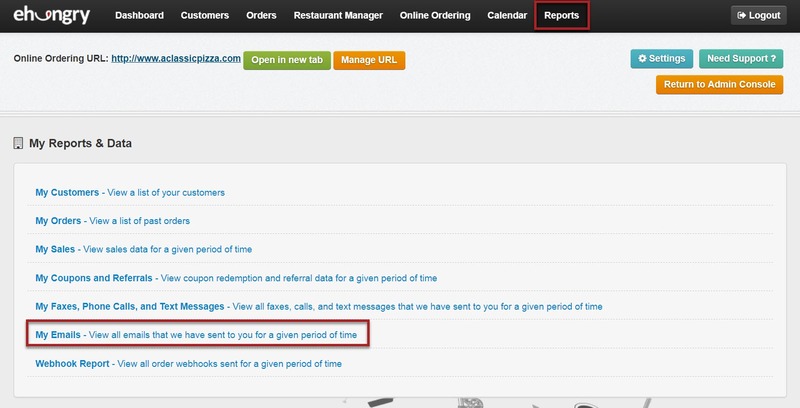 In your Online Ordering Console, you can Generate an Email Report by selecting "Reports" from the main menu, and then selecting "My Emails...". Enter the date range you would like a report for and click View This Report. Here you will see information on all the emails you have been sent and the subjects, status, and date/time they were sent. You can also print or export all the information to MS Excel.